Spicy food has been around since the beginning of time. Some people point out that we have been consuming food with this component for more than 6,000 years. Certainly, there is one aspect that has not changed since then: either you love it, or you hate it, few are undecided. Pungency is a sensation of sharp burning, captured by the sense of taste on contact with some alkaloid substances. That is to say, it is not a flavor, but we refer to it as such. And while we refer to it as such, it is more of a sensation. When eating a chili, a pepper or something spicy, some substances present in this type of food, such as capsaicin and piperine in pepper, isotiocionato in wasabi or gingerol in ginger, come into contact with the saliva and stimulate transient potential receptors (TRPV1). Proteins of our nervous system involved in the transmission and modulation of pain send the brain an unequivocal warning signal. This message would be “perhaps you should not be eating this”. It is measured by product tasting through the well-known Scoville Scale ranging. From 0 Scoville heat units (SHU) of green pepper to 16 million Scoville heat units of pure capsaicin. It is now known that this method is imprecise since the number of heat receptors present in the mouth of each individual varies substantially from one person to another. In addition, sensory fatigue makes it difficult to compare multiple samples of the same product, as the palate becomes quickly desensitized. In a more scientific and precise way, a quantitative analysis of the concentration of alkaloids (cause of heat) present in food is used to measure the degree of pungency. What properties do Spicy Foods have? Great antibacterial and antiparasitic properties. Food preservation and protection against food poisoning. Abundant source of vitamins and antioxidants. Defense against catarrhal processes. Helps with metabolism It favors salivation and facilitates digestion. It promotes the release of endorphins. Analgesic. Improves blood circulation. Possible alternative to break down bad cholesterol and block a gene that causes the contraction of blood vessels. What are the hottest foods in the world? 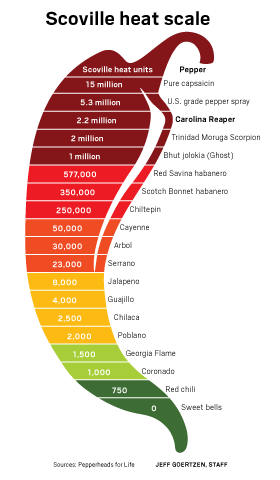 The Scoville Scale may serve only as a guide, but it is used as a reference around the world. The best and most innovative chefs in the world use it to defend that their food is the hottest. Also, the most adventurous tasters use it to confirm that they can take more pungency than others. 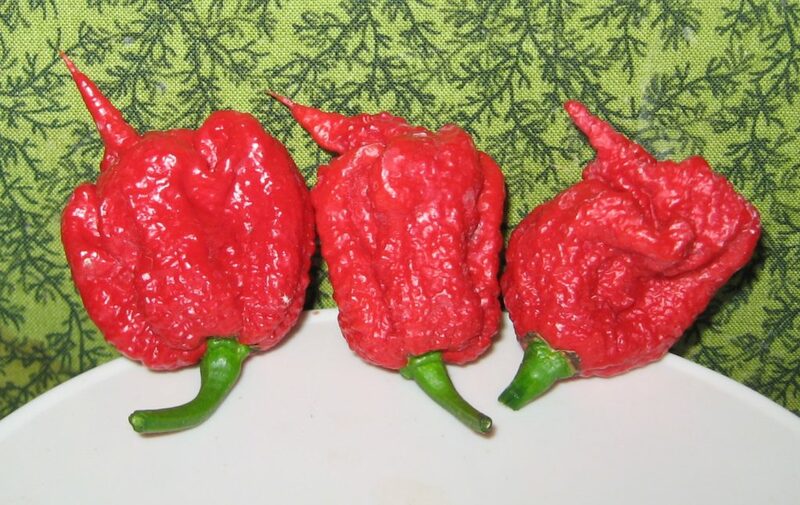 The Carolina Reaper variety is the hottest in the world (2,200,000 SHU), followed by the Trinidad Scorpion Butch and the Naga Viper. Only in Mexico there are more than 100 types of peppers. Mexicans eat around 15 kg per year of chile per capita, equivalent to 1.25 kg per month. This is the highest average in the world. Mexicans include chili in their daily diet because they believed it was an aphrodisiac and related it to Tlazoltéotl, the goddess of lust and illicit love. First indications of cultivation of cayenne pepper is from 7,000 years ago. The Incas called it the Axi and currently has numerous names: red pepper, cayenne, nasturtium, jaramillo, rose of China, hibuscus of China, etc. Not made with pepper, but with ground dry chili’s. Found in the folklore of many countries: it is the typical flower of the City of Maracaibo (Venezuela). It is recognized as a national symbol in the hair decoration of the typical Dominican costume. Is the nickname of the city of Chengdu (China) among others. The main ginger producing countries are India, China, Jamaica and Australia (northern zone). It has been used for centuries among many cultures for its medicinal properties. In fact, it is a primordial plant in Ayurvedic medicine and traditional Chinese medicine. The latter gives it the properties of reducing yin. 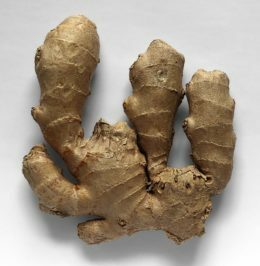 The spicy ginger is higher when it is dry because the gingerol (60,000 SHU) becomes shogaol (160,000 SHU). Coming from India, it was introduced in Europe by the French and Dutch. The word curry comes from kari, which means salsa in Tamil, the language spoken by an ethnic group from southern India. The most spicy variety is the Phaal (between 100,000 and 300,000 SHU). It is a mixture of spices that in India and Asian countries are known as “Garam masala”. The base of the curry is a spice called turmeric. It is said to have addictive properties. According to the new report by Zion Market Research, the global condiments and spices market moved around 15 billion dollars in 2017 and is expected to reach 21 billion dollars by 2024, with an annual growth of around 5.0% between 2018 and 2024. 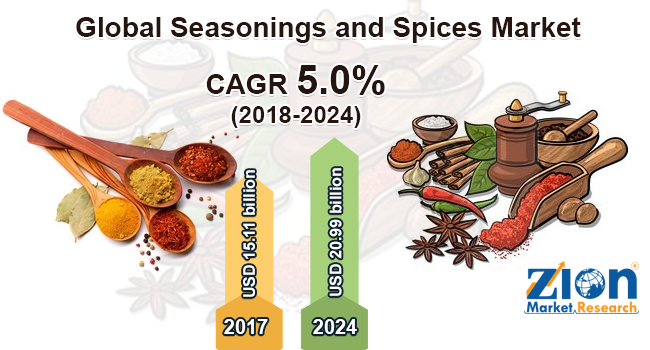 The demographic increase, the net capital income and the growth of food and industry will have a positive influence on the seasoning and spices market. The growing awareness of consumers about the medicinal properties of a series of spices such as turmeric, cloves and cinnamon used for various fungal and bacterial infections, will also help to promote such growth. If we segment the market geographically, the global condiments and spices market has a wide reach in North America, Latin America, Asia Pacific, Europe and the Middle East and Africa. 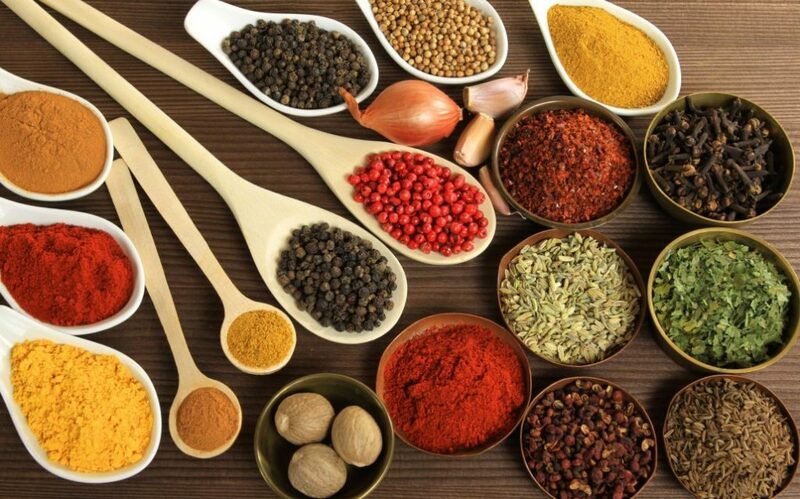 Asia-Pacific is expected to be the fastest growing region, mainly due to the high consumption and production of spices and spices in South Asia. You will be followed, Europe and North America. The growing awareness of consumers about the medicinal, culinary and nutritional properties is growing rapidly. 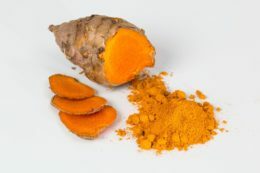 The reduction of salt and fat in the composition, supply of vitamins and amino acids of some spices such as turmeric, is contributing significantly to the growth of this market. People now days are also looking for more natural alternatives, clean label products and more foods with innovative ingredients. All this, combined with High Pressure Processing (HPP) provides very good alternatives as a different and more align process for the production of foods with spicy ingredients. We must not forget that HPP is a cold storage method that, unlike thermal processes, allows to keep the flavor of spicy foods “fresh”. 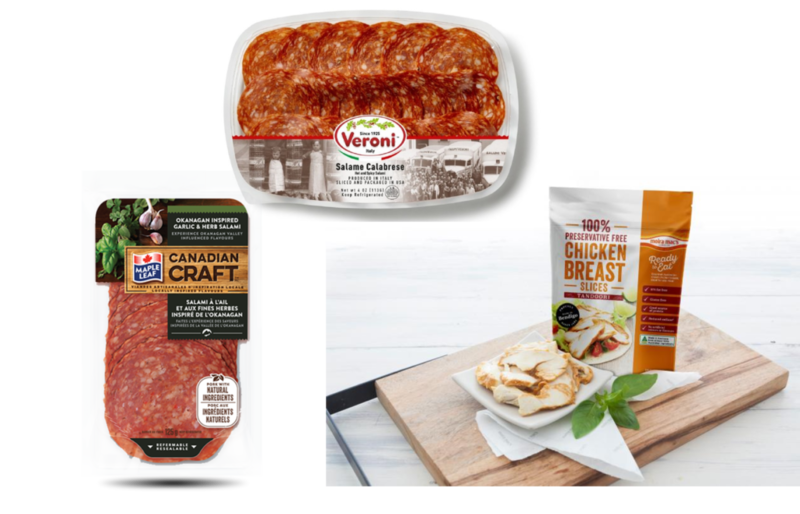 As explained in our previous entry “High Pressure Processing (HPP) Ready to Eat Foods are Here to Stay“, HPP technology has great advantages for this type of products (freshness, clean label, longer shelf life, …). When it is use together with these spicy components, it allows to reduce the contribution of spices, lowering the cost of the ingredients used. It also allows a more natural simple product, like made at home. In the case of conventional meat products, the use of high pressures is extremely interesting. Especially due to the minimization of the risk of Listeria. The main drawback, as stated in our entry “HPP: Putting a New Squeeze on Meat“, is the change in color of raw products without cooking or prior curing. 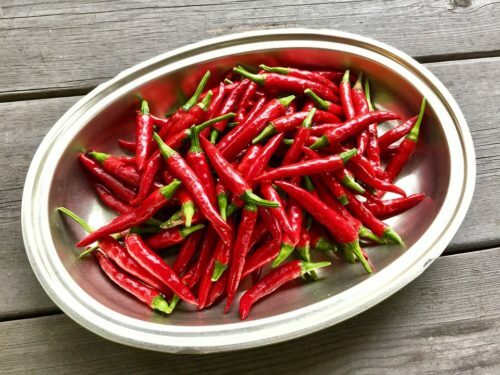 Although the possibility of combining the process with the addition of cold meats and sausages, extracted oils from dehydrated chilies, can allow to obtain a natural coloration, combining the best of both. The use of this type of spices in raw vegetable products, such as juices or avocado derivatives, is spreading rapidly in the HPP market. Thanks to the growing demand for functional foods and the fact that it increases the range of products (mild, hot, …). The benefits of these spices (antibacterial, antiparasitic …) are added to those of the HPP process. All this while increasing their shelf life, without altering the nutritional and organoleptic properties of the final product. 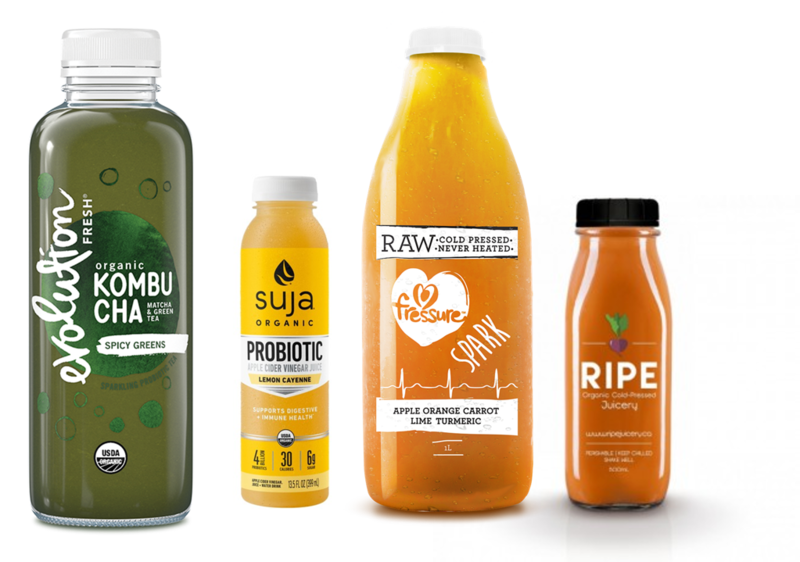 For all these reasons, we encourage you to know and try some of the HPP products made by our customers and other HPP users. 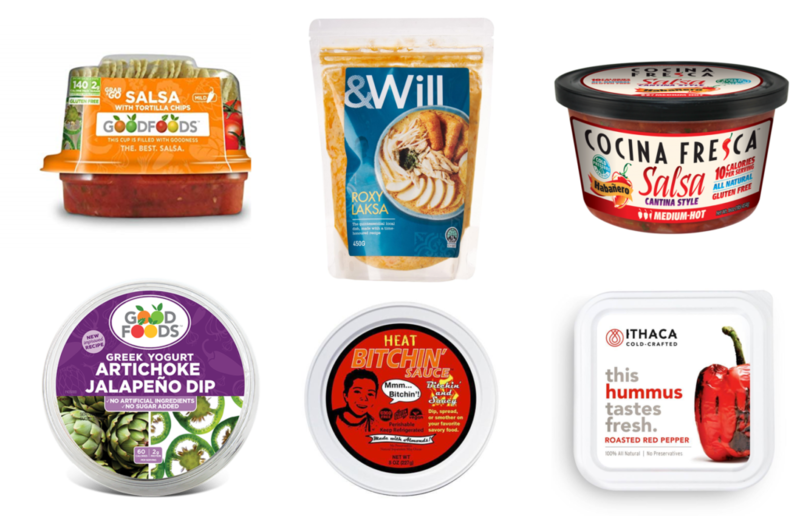 Ready to Eat (RTE), sauces and dips, healthy and natural. &Will, an example of prepared food in high demand in Asia. 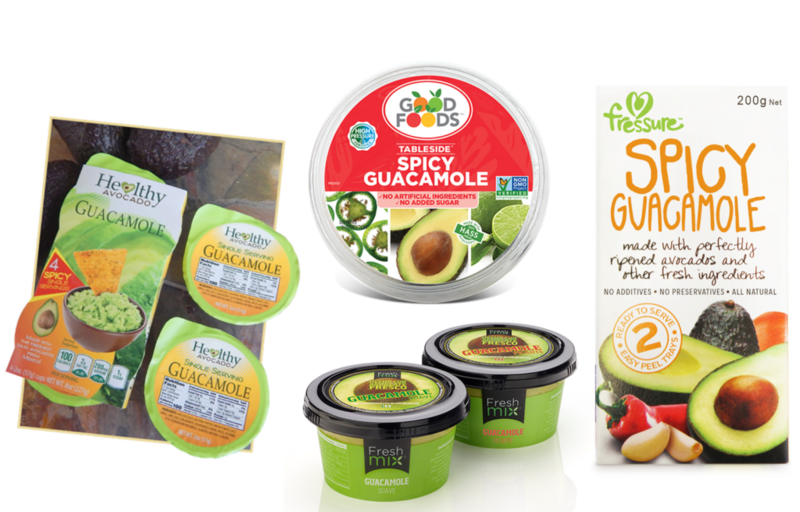 Goodfoods, a great product made in USA, they also make salsas y dips. Bitchin’ Sauce, Hot and more hot! Healthy Avocado, made with love. Fressure, spicy in the heart of New Zealand. Evolution Fresh, htier new spicy greens Kombucha. If you want more information about HPP, do not hesitate to contact Hiperbaric, the world’s leading provider of high-pressure processing equipment for the food industry.